Haven't we all wanted to live on an island? It sounds exotic or romantic and is generally based on what we know of the island we fantasize about during the regular season. Not too many people think about what it's like to live there in the off-season, when the weather isn't ideal, jobs might be scarce, and there's little entertainment available. But people who do or have lived on islands all year, face all the realities of island living. Some choose to stay in their communities and others move off island as soon as they can. In N.D. Galland's newest novel, a woman who left Martha's Vineyard as soon as she could must come home, take care of the irascible uncle who raised her after he falls off his roof one winter, and slowly fit her way back into the year round islander community she was once so quick to abandon. 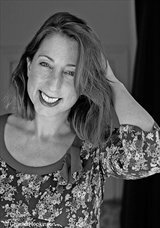 Joanna Howes is a well-known freelance features writer in New York City who is trying to decide if she's ready to move in with her easy going boyfriend when she gets a call that her Uncle Hank fell off his roof, broke his leg badly, bruised some internal organs, and is in the hospital. He may be a curmudgeon but she immediately heads for Martha's Vineyard to take care of him, assuming that she will be back in the City in fairly short order after she gets him settled. But Hank has really done a number on his leg and Joanna is faced with a longer than planned stay. In order to keep paying the rent on her apartment, she starts to freelance at one of the two island newspapers. Then she has to start freelancing at the other one. And she has to keep her jobs separate and secret because of the feud between the papers. 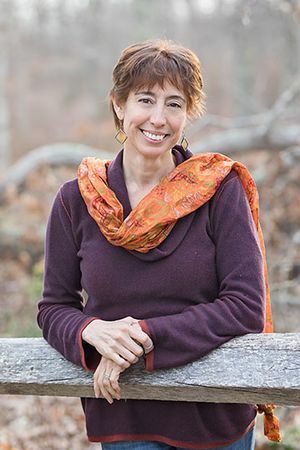 So Joanna Dias Howes writes about the politics and happenings on the island as Anna Howes at the Journal and she writes about the charm of the Vineyard and profiles of the people who live there for the Newes as Joey Dias. When she covers the argument about construction of a private helipad that is escalating between the town and a wealthy summer resident, she inadvertently meets and agrees to a date of sorts with Orion Smith, the summer resident in question. Conflicted because of her job and intent on keeping everything between them ethically unassailable, she gets in deeper and deeper with Orion without ever divulging her her ties to her uncle Hank, Orion's most vociferous opponent. As Joanna and Orion spar, their relationship grows until the secret between them is bigger than the lawsuit that divides them. 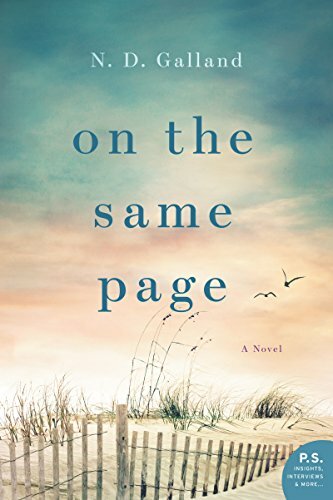 Tackling issues of truth versus subterfuge, class differences, belonging, and natives versus wash-ashores, this is a love story between characters but also about Martha's Vineyard itself and what the inhabitants of the island think makes their slice of the world so wonderful. The characters all think they are considering others in their actions and opinions but in reality each is frustratingly only working in their own narrow interest. Joanna's relationship with her Uncle Hank starts out understandably (he's cranky and in pain) but goes downhill pretty quickly and while he is referred to many times as a Yankee man (and presumably a typical one at that), his sniping and griping at her is never balanced with caring unless the reader simply assumes that because he raised her, he loves her. Joanna is surprisingly insecure about herself and her writing, especially given her past moderately famous successes. Her character comes across as weak and hesitant. Her one firm stand, not accepting anything that can be construed as a gift from Orion, and therefore supplying her own food and drink every time they are together, feels more like a quirk than showing the strength of her ethics. The relationship between Joanna and Orion was a bit lukewarm and Orion repeatedly telling Joanna that she clearly wasn't a very good journalist if she was unable to find much out about him was, frankly, infuriating, and made him rather less than likable. His privilege oozed from him at all times and the corrective to that came too late to change this reader's opinion of him. The narrative tension eased off towards the simple and perhaps too easily achieved end and a plot line or two just faded into the background. Despite these flaws, the novel had an intriguing concept that ultimately delivered a quick and pleasant read. 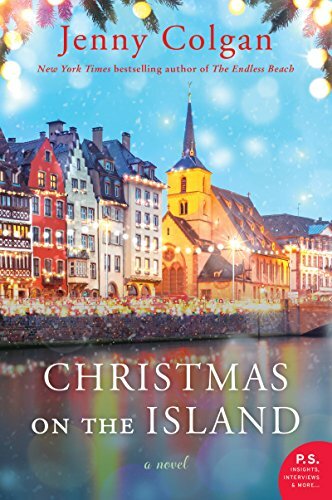 Although not an in depth look at the economic, social, and political realities of living on an island year round, it does offer a glimpse at life and love when the sun and sand are replaced by snow and mud, when summer resident comes up against the working class year rounder, and what could happen to the magic of the place if there's too much change. For more information about N.D. Galland and the book, check out her webpage, like her author page on Facebook, or follow her on Twitter. Check out the book's Goodreads page, follow the rest of the blog tour, or look at the reviews for others' thoughts and opinions on the book. 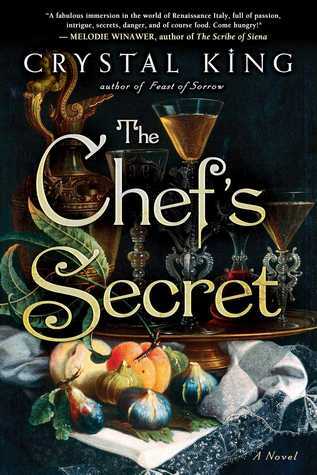 The Chef's Secret by Crystal King. The book is being released by Atria Books on February 12, 2019. The book's jacket copy says: When Bartolomeo Scappi dies in 1577, he leaves his vast estate—properties, money, and his position—to his nephew and apprentice Giovanni. He also gives Giovanni the keys to two strongboxes and strict instructions to burn their contents. Despite Scappi’s dire warning that the information concealed in those boxes could put Giovanni’s life and others at risk, Giovanni is compelled to learn his uncle’s secrets. He undertakes the arduous task of decoding Scappi’s journals and uncovers a history of deception, betrayal, and murder—all to protect an illicit love affair. 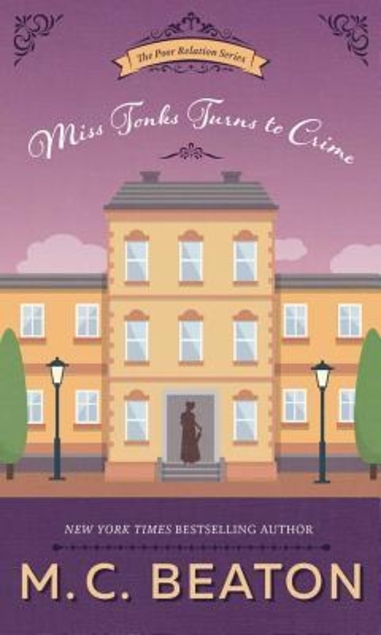 Miss Tonks Turns to Crime by M.C. Beaton came from me for myself. This is the second in the Poor Relations series and I needed this one after I found the first one to be a charming palate cleanser of a read. 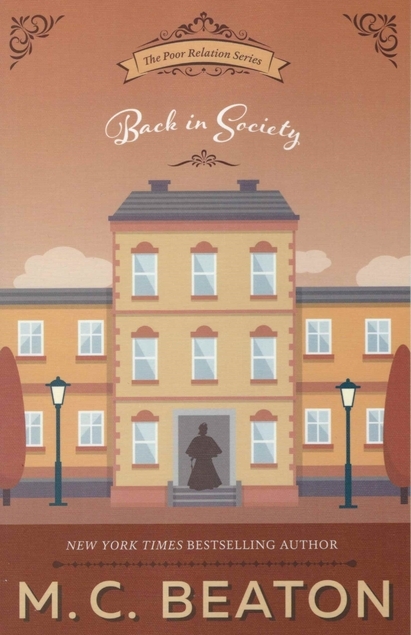 Back in Society by M.C. Beaton came from me for myself. 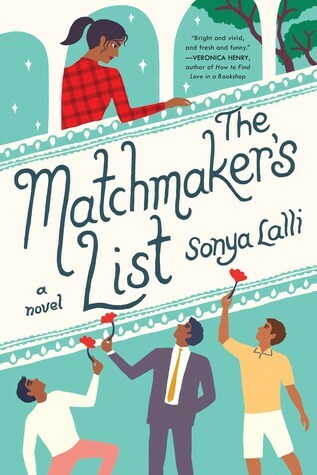 The Matchmaker's List by Sonya Lalli. The book is being released by Berkley on February 5, 2019. 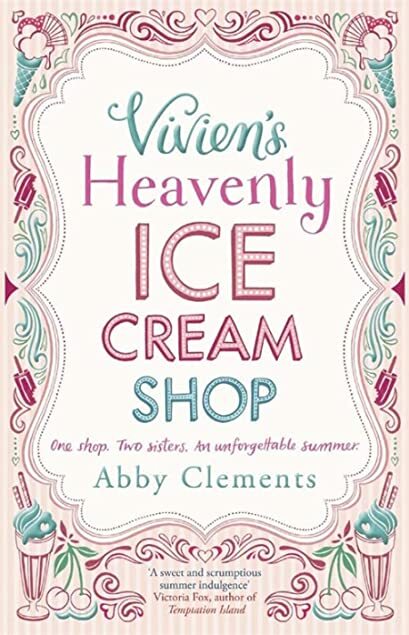 Vivien's Heavenly Ice Cream Shop by Abby Clements came from me for myself. A story about two sisters who inherit a failing ice cream shop and have to come up with a way to save it, this sounds completely delicious and wonderful. 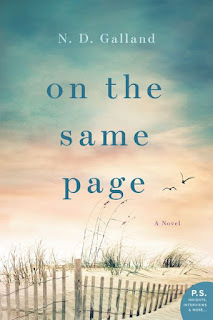 On the Same Page by N. D. Galland came from TLC Book Tours and William Morrow for a blog tour. I have a fondness for books set on islands and this one about a woman who returns to Martha's Vineyard to care for her cranky uncle and ends up writing for the two competing newspapers on the island (one under an alter ego) sounds like a fun and inventive story. I can't wait. 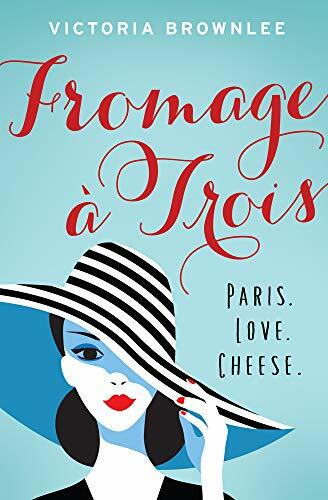 Fromage a Trois by Victoria Brownlee came from me for myself. A title that is a cheesy pun (you're welcome for that one too)? That's really all I need to know but this one about Paris, love, and cheese sounds delectable even beyond its title. Human beings have long been fascinated by artificial intelligence, creating a computer that can learn from us and even one day outstrip us. We worry about the effects of something like this and whether it would turn against us but even that concern doesn't slow us down from pursuing its creation. The fact that a technology like this could be used to capture something of a person, something of their very essence, especially once they themselves are nothing but a memory is incredibly enticing. 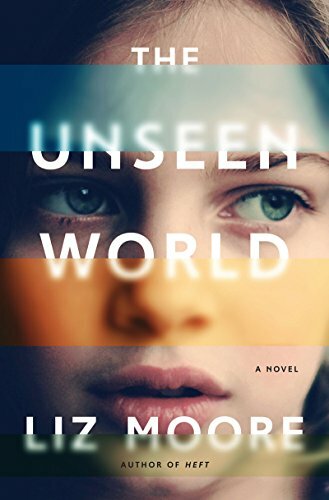 Liz Moore's novel, The Unseen World, is set in the 1980s, when the idea of computers learning and expanding from that learning was much newer than it is now, the 2010s when technology had advanced well beyond the initial exploration of this idea, and the future when the technological frontier could be anything, but it is not just a novel about technology. It is a novel about people and relationship, love and learning, and the deliberate and accidental mistakes and betrayals that make people so very human. Ada Sibelius is a child prodigy. Conceived by a surrogate and raised by her single father, David, she grows up in the local university's computer science lab where her father is a respected professor and researcher working on the artificial intelligence program ELIXIR, a language processing program. She is homeschooled by her father and her only friends are the graduate students at the lab and her father's close friend and colleague, Diana Liston. She adores her father, enjoys their intellectual fencing, and doesn't realize the extent of her unorthodox upbringing until the year she is twelve, when David starts showing signs of Alzheimer's. As David's condition deteriorates, Ada ultimately moves in with Liston and her sons and goes to school for the first time, having to learn what regular teenage life is like. Alternating with the story of David's decline and young Ada's sudden immersion in a "normal" life that is completely foreign to her is the story of adult Ada trying to solve the puzzle that David left her and uncover the myriad of secrets that bubble up as she tries to figure out who her father really was, not just to her, to his students, and to his pet project, but who he was in a wider sense. In searching for answers, Ada will also come to understand and know herself and others in her life better too. This is a very slow moving novel and there's a lot of technical information that might cause the non-technical reader to stumble, especially early on as the story is just starting to build. But once the reader is invested in Ada, they will follow her in her journey, eager to understand the truth about David, wanting to know what he left her just as much as she does. This is very much a literary novel, an exploration into identity, how technology preserves or changes that identity, and the messiness and mistakes of human connection. The characters are not only smart, they are at least as interesting as the enigmas they all hope to solve. There are codes and puzzles woven throughout the novel, some obvious (trying to crack David's code), some less so (like Ada's puzzling out how to be a normal kid and have normal relationships) and smart readers will enjoy following the many trails to discovery and the ultimate unveiling at the end. There are touches of mystery and sci-fi combined with personal, human reality here that all come together in one masterfully done literary work. Caroline's Bikini by Kirsty Gunn. The book is being released by Faber and Faber on January 22, 2019. The book's jacket copy says: "Alright" I said, "I’ll try..." This is how Emily Stuart opens her intricate tale of a classic love affair that becomes Caroline’s Bikini: a swirling cocktail of infatuation, obsession, and imagination. The moment that Emily’s friend Evan Gordonstone - a successful middle-aged financier - meets Caroline Beresford – a glamorous former horsewoman, and now housewife, hostess, and landlady - there is a "PING!" At least, that's how Evan describes it to Emily when he persuades her to record his story: the story of falling into unrequited love, which is as old as Western literature itself. Thus begins a hypnotic series of conversations set against the beguiling backdrop of West London’s bars, fueled in intensity by endless gin and tonics and Q&As. From the depths of mid-winter to July’s hot swelter, Emily's narration of Evan’s passion for Caroline will take him to the brink of his own destruction. 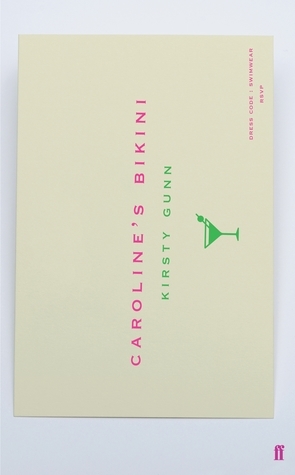 Written in a voice so playful, so charismatic, and so thoughtfully aware of the responsibilities of fiction it can only be by Kirsty Gunn, Caroline’s Bikini is a swooning portrait of courtly love - in a modern world not celebrated for its restraint and abstraction. Ready. Steady. Go! We are often told that our world needs to slow down, get outside, and enjoy nature more. Many of us seem to have lost our connection with the natural world and it shows in the increase in so many of our ills: obesity, depression, and stress, to name a few. Although the outdoors cannot cure these things, experts tell us that it would certainly mitigate them at the very least. And for anyone who has spent time outside communing with nature and wildlife, there is definitely something a little bit magical about the untamed world. 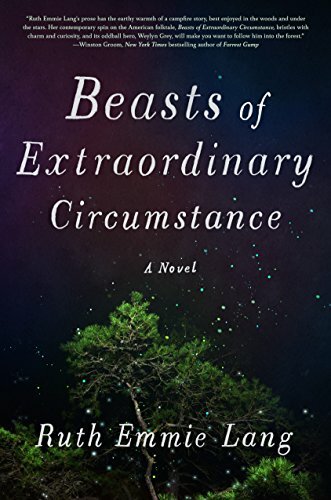 There is more than a little of this magic in Ruth Emmie Lang's slightly magical, charming debut novel, Beasts of Extraordinary Circumstance. Weylyn Grey has always been special. Born in June, it snowed as soon as he breathed for the first time. He is orphaned young in a freak storm that he feels responsible for causing and ends up being raised by wolves. He can communicate with animals, he can make plants grow riotously out of control, and he can stop (and start) storms. He is sweetly innocent and as he moves through the world, he touches all he comes into contact with. He never stays with anyone very long, his closest long term companion being Merlin, a talking pig. His adventures are fantastical and wonderful and though his time in each place is brief, he leaves an indelible mark behind himself. Told in the first person by the people whose lives Weylyn moves through, this is a whimsical story with a clear fairy tale quality. Weylyn as a character is both revealed by the narrators and remains just out of reach, quietly elusive. He is a gentle soul with a strong but ungovernable connection to the natural world, as if he was not human born but truly a child of the forest. He is uncomfortable with most people but when he loves, he loves with his whole heart. The writing is slow and measured and the novel feels like quiet mysticism. There is a yearning for home and understanding as Weylyn moves around meeting others who sometimes embrace him and sometimes misunderstand his power. There are adventures within each encounter he has but the plot is less important that the ultimate journey. The second half of the novel slows down a bit and the ending is purposely ambiguous. At its core, this is a fairy tale of a story about difference, love, and acceptance and it will leave the reader feeling contented and at peace, just like a ramble through the woods might. 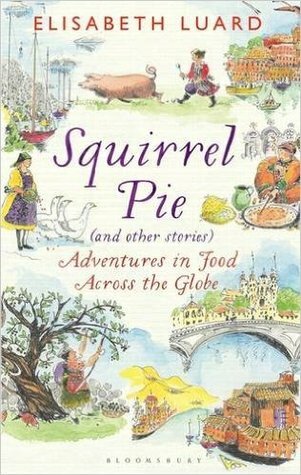 Squirrel Pie by Elisabeth Luard came from me for myself. 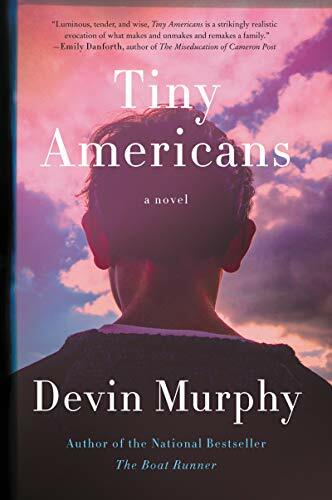 Tiny Americans by Devin Murphy came from LibraryThing Early Reviewers. I enjoy books that follow one family for decades so I am really looking forward to this one about an alcoholic father and the three children he left behind with whom he now must try to reconnect. 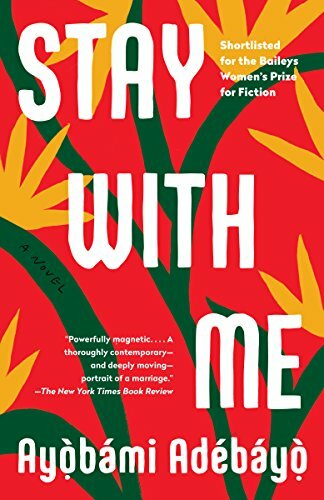 Stay With Me by Ayobami Adebayo came from a friend for a book exchange. This one has all the accolades. About a Nigerian couple facing infertility and polygamy, it sounds like it deserves them all too. 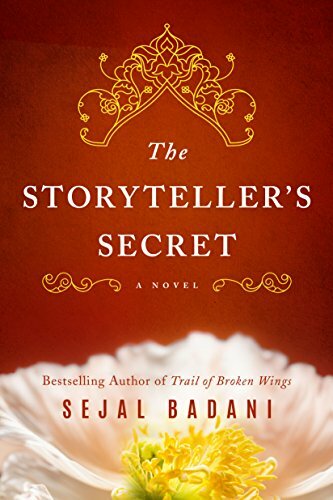 The Storyteller's Secret by Sejal Badani came from a friend for a book exchange. After a woman loses her pregnancy and her marriage unravels, she heads to India to learn her family's history. I can't wait! 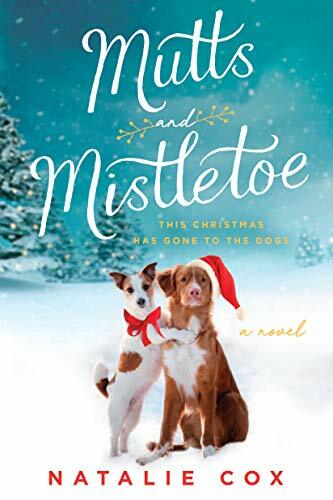 Mutts and Mistletoe by Natalie Cox came from a friend for a book exchange. A seasonal book centered on dogs? How much more perfect can you get? For many years, the work of women, the unpaid work that they did or do, has been invisible. There is, of course, the old joke that a husband comes home from work one day and sees that the house is a mess, the kids are running rampant, and there's no dinner waiting for him because his wife has taken to heart that he thinks she does "nothing" all day long and so has decided to live up to his belief and therefore has actually done nothing that day. It's a scenario that makes a point very clearly. He never saw the work she did until the day she chose not to do it. Her work, important as it was, was invisible until it was left undone. 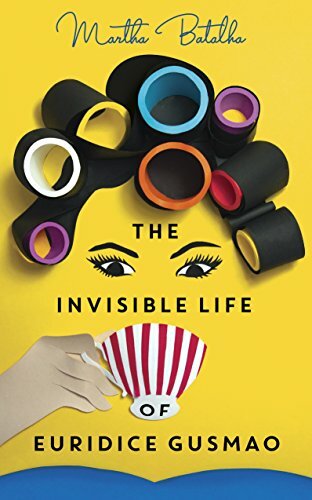 Martha Batalha's novel The Invisible Life of Euridice Gusmao comes from this same place of women's work and lives being invisible unless they buck what society expects of them. Euridice marries her husband Antenor because that is what is expected of her. She will become a housewife and mother in 1940s Rio. And she plays her role but she doesn't embrace it or truly enjoy it. Instead she spends a long time looking for her purpose in life within the societal constraints placed on her. Before her marriage she was an exceptional recorder player. The hope of a musical life had to go by the wayside as she married and became a mother. Then she learned to cook exotic and impressive dishes. But that wasn't her calling either, and unusual foods didn't please her children or her husband. Then she taught herself to sew and became quite an accomplished seamstress, dressing first herself and then neighborhood women. But her husband objected to her working from home. Finally she becomes an author, tickety tapping away on her typewriter, either destined for greatness or for obscurity as she retells the story of her life. She is a determined and intelligent woman who finds her prescribed role boring. Her beautiful sister Guida took a different, less conventional path through life but she cannot tell her story completely any more than Euridice could live her story completely as she wanted even after she came back to the path society required of her. This is very much a domestic novel filled with quirky, often frustrated characters. Euridice is strong, flexible, and yearning as a a character. She absorbs the disappointments of her life, which are all of the spiritual variety rather than the physical disappointments and trials her sister weathers, as best she can while still being a woman of her time. She is different in her striving for more, in her quest to be seen, and sometimes that opens her up to gossip and innuendo from others but she perseveres in creating in herself the accomplished and fulfilled woman she needs to be. No matter where she is in her journey to herself, she remains a sympathetic character. The novel definitely has the feel of contemporary South American literature, a certain sensibility that comes through tying it to a long tradition of Latinx writing. Quite character driven, this novel is an interesting and insightful look at the life and dreams of one eccentric mid-twentieth century Brazilian woman as she becomes visible to her family, her neighbors, and most importantly, to herself. The book is being released by Little, Brown on January 22, 2019. The book's jacket copy says: Anna Brisker is a twenty-nine-year-old graduate student in English at Collegiate University who can't seem to finish her dissertation. Her project: an intellectual history of inspiration. And yet, for the first time, Anna has found herself utterly uninspired. Rather than work on her thesis, she spends her days eating Pop-Tarts and walking the gritty streets of New Harbor, Connecticut. 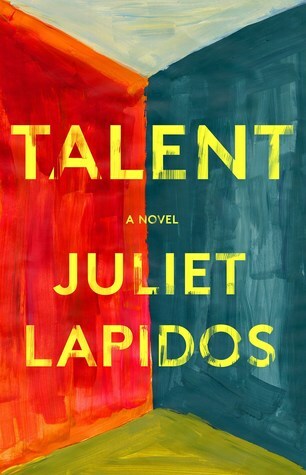 A modern twist on the Parable of the Talents, Lapidos's debut is a many-layered labyrinth of possible truths that reveal at each turn the danger of interpreting another person's intentions-literary or otherwise. 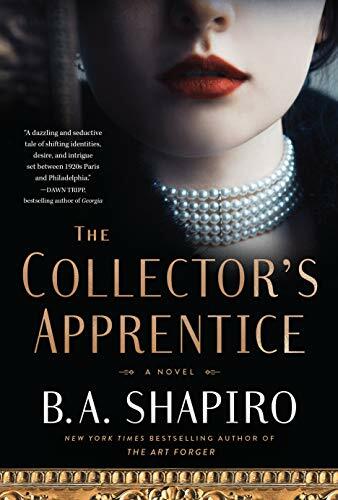 The Collector's Apprentice by B.A. Shapiro came from Reading with Robin. 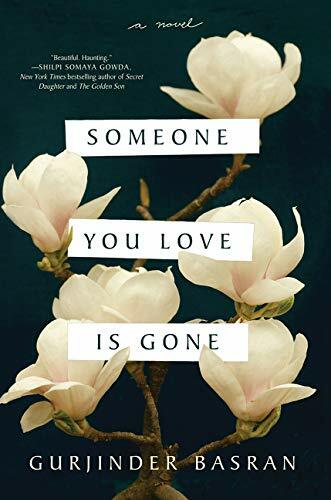 I am fascinated with the whole idea of art theft or fraud so this novel about a young woman suspected of being in on her fiance's scheme and who determines to recover her father's collection and to revenge herself on her con artist fiance sounds gripping. 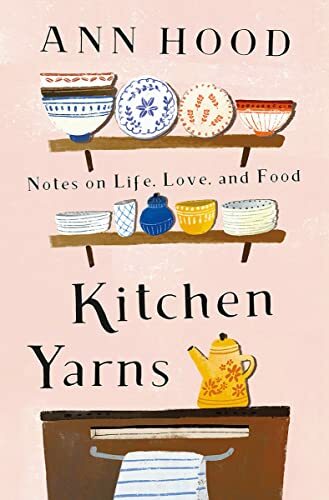 Kitchen Yarns by Ann Hood came from Reading with Robin. I love Ann Hood and have been reading her since I was in high school umpty thousand years ago so pair her writing with the topic of food in personal essays and I'm all in. 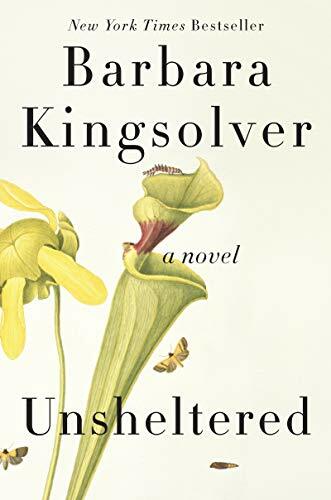 Unsheltered by Barbara Kingsolver came from Reading with Robin. Who hasn't wanted to get her hands on the latest Barbara Kingsolver?! Certainly not me! 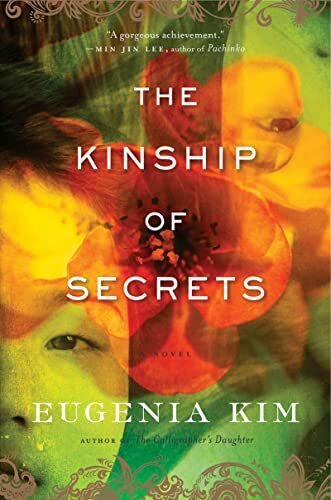 The Kinship of Secrets by Eugenia Kim came from Reading with Robin. A family separated from their infant daughter by war and their long determination to reunite the family which only highlights the difference between a child who grew up in war torn Korea and one who grew up in the US? Oh, yes please! 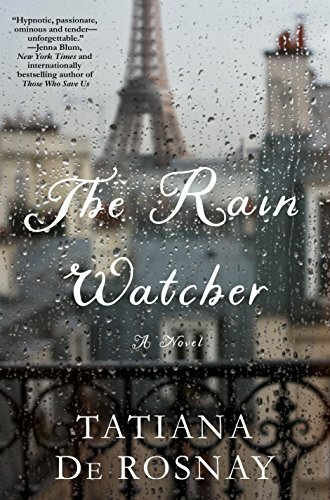 The Rain Watcher by Tatiana de Rosnay came from Reading with Robin. As a family gathers for their patriarch's 70th birthday in Paris, family secrets will burst out just as the river Seine does in this amazing sounding novel. 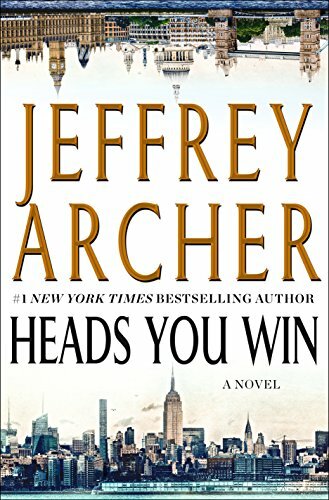 Heads You Win by Jeffrey Archer came from Reading with Robin. Jeffery Archer writes sprawling, twisty novels and this story of a Russian man who chooses where to live as he and his mother flee Russia based on a coin toss promises to be Archer in top form. So what do you think? Let me know in the comments below or by email which books intrigue you the most and I'll get right on them.